As reported earlier, Noosphere acted as the Organizer of the 2nd International Science and Practice Conference “Modern Strategic Solutions for Information Development of Economy, Society and Business” that was held in Nauchny village, the Crimea, Ukraine between the 17th and 20th July, 2013. The conference was dedicated to the 150th Birthday of Vladimir Vernadsky – an author of noosphere doctrine. This year the anniversary of the scientist was included into the UNESCO international calendar. Vladimir Vernadsky established a number of new sciences including geochemistry, biogeochemistry, radiogeology, biospherology, noospherology. He also considerably developed already-existing ones comprising mineralogy, soil science, geology, crystallography. It is impossible to overestimate his contribution to the development of geometric crystallography, study of symmetry, the theory of the structure of silicates, the doctrine of gas mode of the Earth, the history and nature of groundwater, the problems of cosmic matter, crystal physics, crystal chemistry, geography, geophysics, and theoretical biology, world history of science, methodology and logic of scientific knowledge, etc. Such famous scientists as chemists D.Mendeleev and M.Menshutkin, botanist and geographer A.Beketov, ornithologist M. Bogdanov, O.Butlerov organic chemist and meteorologist O.Voeykov, soil scientist Dokuchaev, P. A. Kostichev, geologist O. Inostrantsev, physiologist I. M. Sechenova, botanist and evolutionist A. Famintsin were among tutors of Vladimir Vernadsky. 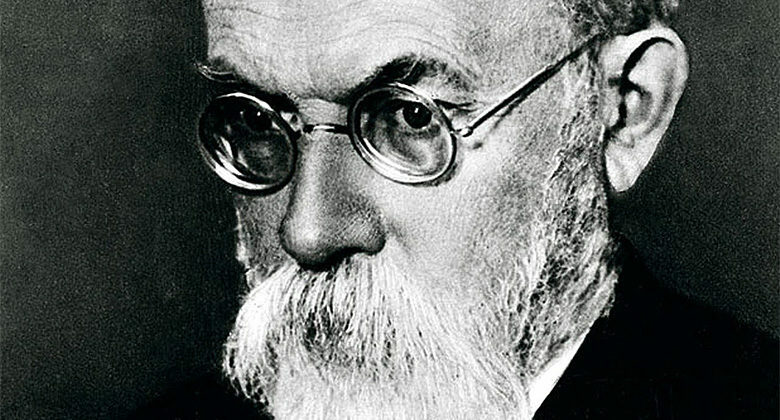 Nowadays Vernadsky is a master of the humanistic concept of the world based on responsibility, piece and equality. An outstanding feature of the conference is in the fact that its participants had a great opportunity to appreciate the legacy of Vladimir Vernadsky. They visited a university that is named after the Academitian – Tavrida National V.I. Vernadsky University. It’s incredible that within the period of 1920-1921 he held a position of Rector in there. According to the research of the Ukrainian Ministry of Education and Science this university is among the best high school institutions in Ukraine today. Participants and guests of the conference also enjoyed the atmosphere of the House of Science at the botanical garden TNU named after Vernadsky, where his personal workplace is maintained up to these days. Participants attended “Noosferogenez and technological singularity hypothesis” lecture by Victor Buriak, Professor of the UNESCO department of TNU. The official part of the event was accompanied by ceremonial granting of Vladimir Vernadsky’s bas-relief, symbolizing further cooperation between Noosphere and the academia. So it’s really true that perpetuating the memory of our Great Predecessor allows the followers of Vernadsky’s ideas to evolve in the right direction.